Kent trio Adam Riley, Adam Rouse and Calum Haggett are in the Marylebone Cricket Club (MCC) squad as they continue their touring programme for 2018 this week with a 13-man squad departing for Kenya. The twelve-day tour is the penultimate tour of the year for MCC, who have already visited Brazil, Chile and Sweden in 2018. A trip to Thailand will follow in November. MCC will arrive in Nairobi and play three matches in the first three days of the tour, facing Kenya Kongonis Cricket Club in a 30-over match at the Nairobi Club before playing a 50-over game against a Kenya Select XI at the Simba Union Club. The squad will then head 100 miles north to Nakuru to face a Rift Valley Invitational XI at the Rift Valley Sports Club. Kenya Under-19s are MCC’s next opponents in a T20, before beginning a two-day match against the Kenyan national side at Nairobi Gymkhana. A 50-over match at the Nairobi Jaffery Sports Club against Kenya and a T20 against the same opposition ends the tour before the squad returns to the UK. The matches will be interspersed with coaching sessions at various local schools and clubs. Former Derbyshire batsman Tim O’Gorman, who has also served on the MCC Committee, is the Tour Manager for the trip, for which a strong squad has been named. Calum Haggett, Adam Riley and Adam Rouse, who all currently play county cricket for Kent, are included. Batsman Seren Waters, who played for Kenya in the ICC Cricket World Cup in 2011 is set to face the country of his birth, whilst Middlesex Academy graduate Tom Lace has also been selected for the tour. 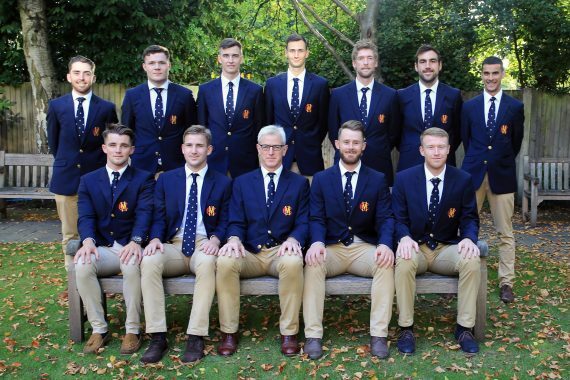 Joe Barrett and Jonty Jenner of the MCC Young Cricketers are included, whilst the rest of the squad is made up of MCC Members who play a high level of club cricket or Minor Counties standard. Both Tom Coldman and Miles Richardson from Sevenoaks Vine CC are included in the squad. The MCC’s umpire for the tour is the former Leicestershire and Nottinghamshire batsman and current first-class umpire David Millns. MCC toured Kenya last year as part of their trip to Tanzania, however they only played one match in Nairobi and this time will be focusing the whole trip on the country. The Associate Nation currently plays in ICC World Cricket League Division Three, with the next tournament taking place in Oman in November. Kenya famously reached the semi-finals of the 2003 ICC Cricket World Cup, becoming the first non-Test nation to do so, but has not qualified for the tournament since 2011. MCC Head of Cricket John Stephenson said: “After tours to Brazil and Chile, and Sweden earlier this year, we are delighted that another group of MCC Playing Members will be able to enjoy the opportunity of representing the Club abroad. This entry was posted	on Thursday, October 4th, 2018 at 10:45 am	and is filed under Cricket, Featured. You can follow any responses to this entry through the RSS 2.0 feed. Both comments and pings are currently closed.